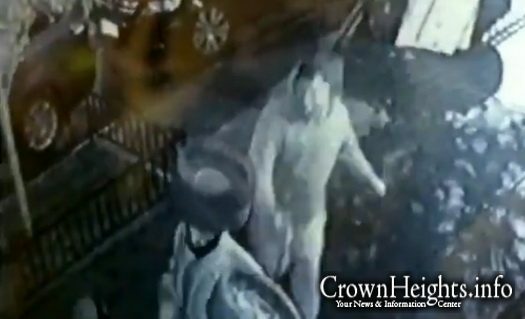 A father was punched in the head Friday night as he was heading home from Shul in Williamsburg. 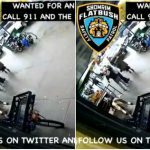 Willimsburg Shomrim has released a video of the incident, and has requested the public’s help in identifying the assailant. Around 6:30pm Friiday night at Throop Ave and Wallabout St, a father was on his way home from shul with his son when he was suddenly assaulted from behind. 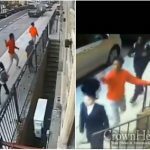 Williamsburg Shomrim has released a video of the incident, and asks the public to call 911 and Williamsburg Shomrim if they have any information. NOTE: Although the tweet states the incident occurred on December 1st, it has been confirmed that the incident occurred on Friday night November 30th, around 6:30pm. Good Luck to the perp. He will be neutralized by them, E”H”. 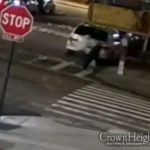 It seems as though no one is safe walking the streets we really living in the least days I am Hoping he will be found so he will not be able to attack innocent prople.That punch could have knocked the man and crack his head on the concrete Find the Culprit.